This small arena adds extra fun to your 6 or fewer knockerball rental. This will allow the option of knocker soccer or other games while also helping with the safety of the participants. 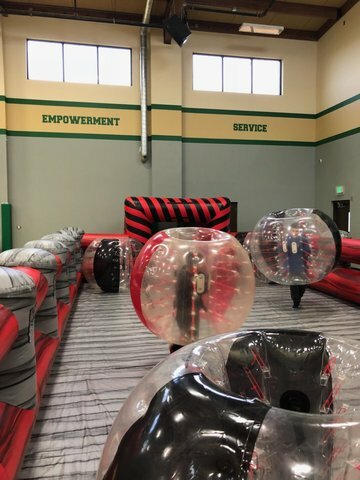 Arena is an additional $100 to any 6 Knockerball rental.